At Rawlins EC Consulting we specialize in business-to-business electronic commerce. 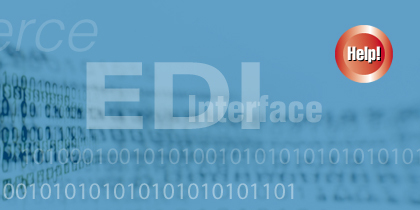 Whether you're using ANSI X12, UN/EDIFACT, or industry standards such as VICS, UCS, or AIAG, we can help you ramp up your EDI systems and keep them running. We support all major EDI systems on Windows, UNIX, and AS/400, with a particular emphasis on Sterling Commerce (Gentran) and Inovis products. Are you considering purchasing or upgrading an EDI system? We can help you determine your requirements, evaluate vendors, and select the EDI system that best meets your needs. We assist with VAN selection, including streamlining and consolidating Web-based EDI operations. We can also help you eliminate part of your VAN costs by moving to EDIINT/AS2. Finally, we can help get your staff up to speed so that you can handle most routine EDI needs without outside help. While EDI remains the backbone of most existing B2B transactions, many companies are starting to use XML-based messages for new applications such as product data synchronization with 1SYNC (formerly UCCnet). We can help you find and implement the right solution for your particular business needs. In addition to supporting XML in major vendor packages, for special customer situations we also do basic XML development with schema design, XSLT programming, and Java and C++ programming using XML APIs such as SAX and the DOM. For customers who are attracted to the many advantages of open-source solutions but who also want the reliability and confidence of a supported solution, we offer support contracts for the open-source Babel Blaster EDI and XML transformation system. See for the Babel Blaster project more information. Do you need guidance in developing strategies for new e-Commerce technologies? We have developed white papers on XML, XML Schema best practices, and related topics for a number of industry groups and clients. Our consultants are well positioned to meet your needs with extensive experience in a wide range of industries, active involvement in EDI and XML standards bodies, and backgrounds in computer science.